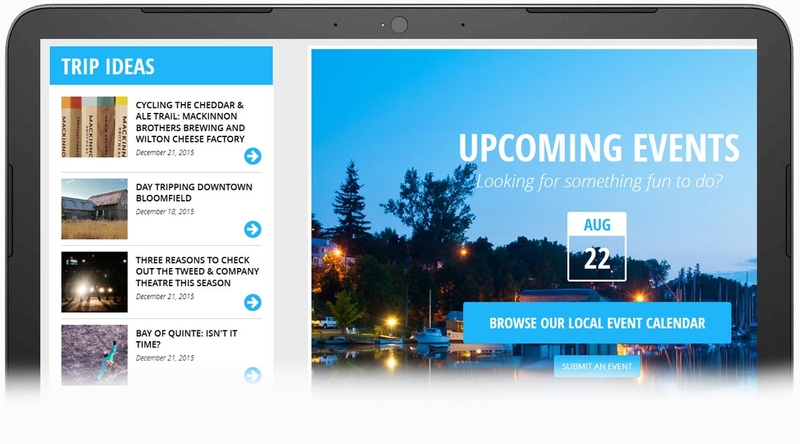 Bay of Quinte RegionRobust web platform promoting tourism, living and business in the Bay of Quinte. The Bay of Quinte Region is an alliance of interdependent communities, bound together by a common history, shared economy, and the water that surrounds and defines them. 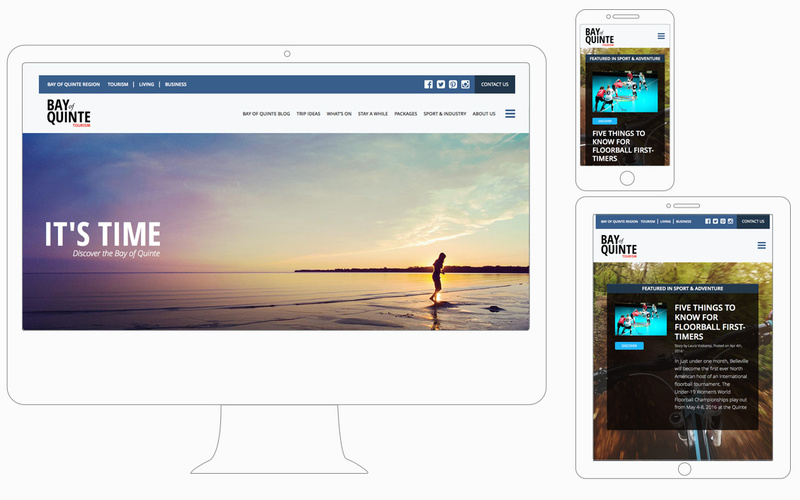 We worked with the Bay of Quinte Regional Marketing Board to develop a robust set of websites that promote tourism, living and business in the Quinte Area. 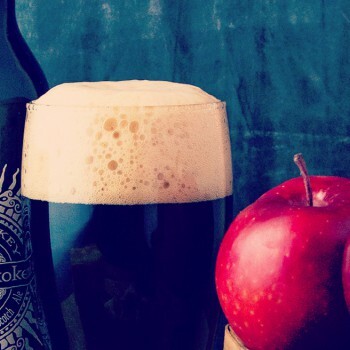 This is a large project with multiple stakeholders and multiple target audiences. We setup a custom platform so that it could have multiple content areas, each of which can a) target it’s own audience and b) be independently managed by its own admin team. 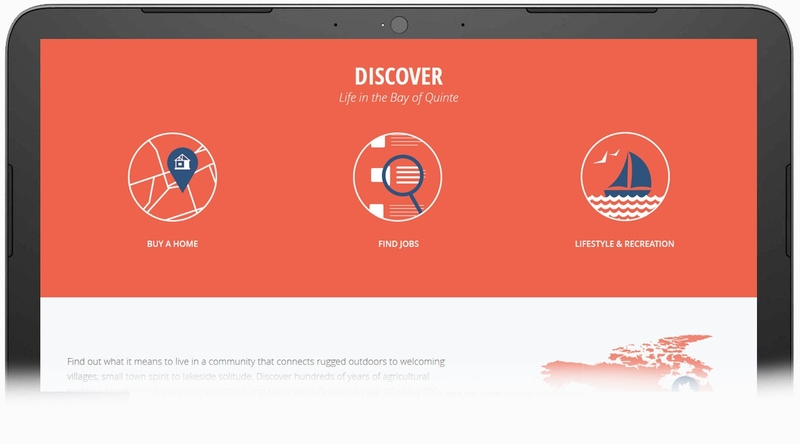 The main Bay of Quinte portal page has doorways to the main pages for Tourism, Living and Business, as well as custom packages. The Tourism microsite focuses on offering fresh and interesting content via a dynamic blog and comprehensive events calendar. The Living microsite is developed for people who are considering moving to the area. It offers information such as new housing developments, job listings, and information on key lifestyle and service options. 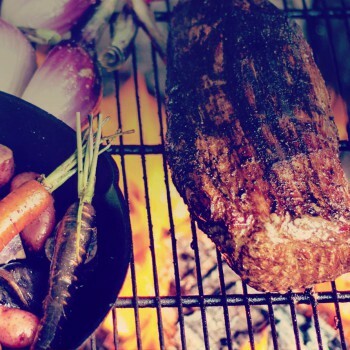 The blog and events calendar are a key tools, enabling the team to regularly publish fresh and exciting content and then promoting this content on social media. 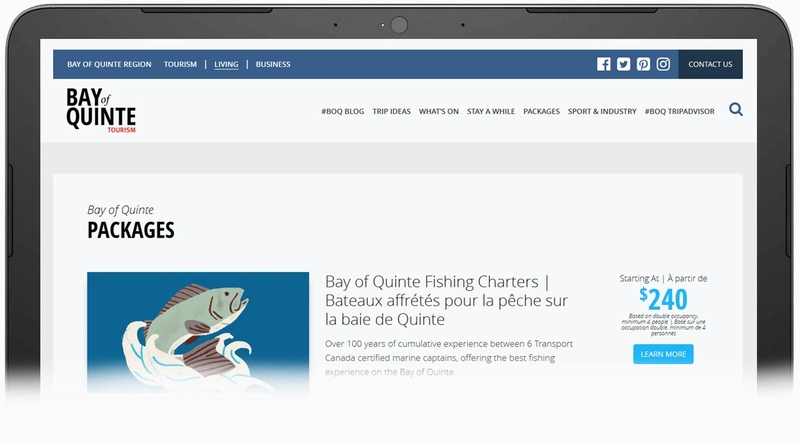 We setup a customized “Packages” section of the site which enables Bay of Quinte to market ready-to-book vacations to a variety of audiences. 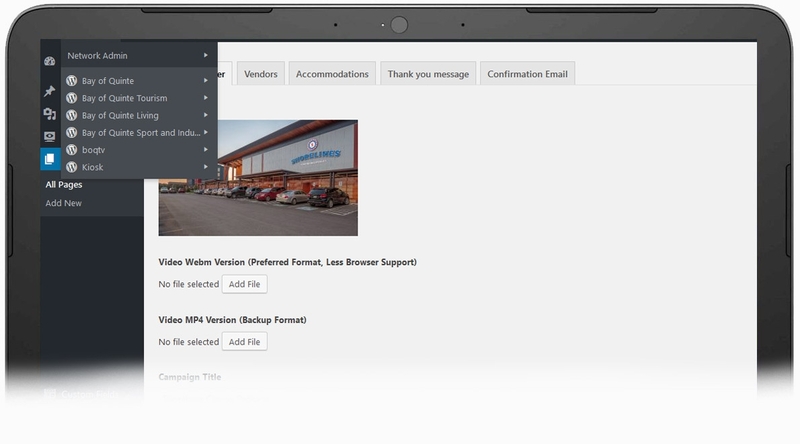 The multiple websites are updated by independent teams, but administered from a central area. We were able to accomplish this by developing a customized WordPress multi-site setup. This makes it easy for people to add new content, while limiting their access to only the necessary areas. The new website has been a resounding success! Organic traffic from search engines has increased, the bounce rate is down and the average session duration is up. New content is regularly being developed and promoted by a happy team of content creators. 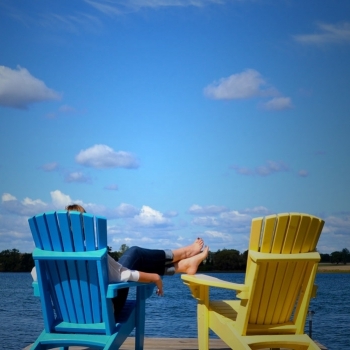 Most importantly, awareness and interest in the Bay of Quinte region continues to grow!